David Chijner is a Partner in Brown Rudnick’s Restructuring & Finance Department, practicing from the firm’s Paris and London offices. David's practice focuses on complex transactions in a litigious or financially-challenged state, often in cross-border contexts. 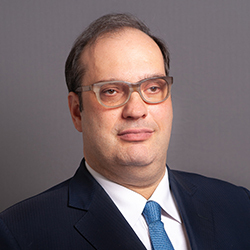 He is widely regarded as a market leader for his experience in restructuring, stressed financing and M&A matters for numerous investment funds and US and European banks. David has played and currently plays a critical advisory role in many of the most prominent restructuring matters in France. He has received numerous recognitions from both Chambers & Partners and from The Legal 500. David was educated at the University of Paris XI Sceaux, the University of Kent at Canterbury, and the European University Institute.